Manchester United caretaker manager Ole Gunnar Solskjaer hopes the club's controversial stoppage-time penalty against Paris Saint-Germain was the "right decision". United benefited from a VAR decision after Marcus Rashford converted a 94th-minute spot-kick to give the Red Devils a stunning 3-1 victory in the Champions League last 16 on Wednesday. 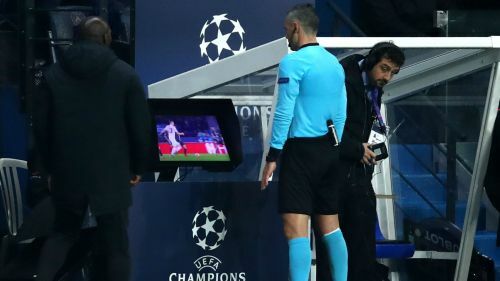 PSG defender Presnel Kimpembe was contentiously penalised for handball after a VAR review as United prevailed on away goals following a 3-3 aggregate stalemate. Solskjaer gave his verdict on the incident, telling reporters: "I didn't see it, I've not seen the video. I hope it's the right decision. "I had tried to help the referee as well to calm my staff down, just sit down because there is nothing we can do about it anyway. "I hope it's the right decision and they say that so it probably was." It was an incredible night for United in Paris, where the Premier League giants overturned a 2-0 first-leg deficit. Romelu Lukaku's brace in the opening half and Rashford's penalty saw United become the first Champions League team to progress having lost by two or more goals at home in the first leg of a knockout tie. It sparked wild scenes post-match and United full-back Ashley Young revelled in the result, which sent the team back into the Champions League quarter-finals for the first time since 2013-14. "It's up there with the best [experience], because of the way we were written off after the first leg," Young told MUTV. "It was all about PSG and we had no chance to win the tie, but us in that dressing room, the players and the staff had the belief that we would go out there and not just win the game, but score goals. We knew there would be chances in the game. "We came in at half-time and we said that there were more chances to win, but we don't have to try and get it straight away, there's 45 minutes to get that winner. We had to play until the last kick of the game." Young, whose team were missing the likes of Paul Pogba, Anthony Martial, Jesse Lingard, Ander Herrera, Nemanja Matic, Juan Mata and Alexis Sanchez, added: "The celebrations show everything. It meant so much to everyone in the squad, every member of staff there. "Look where we've come from, with 10 injured first-team players as well. It's an incredible achievement and we're all delighted."